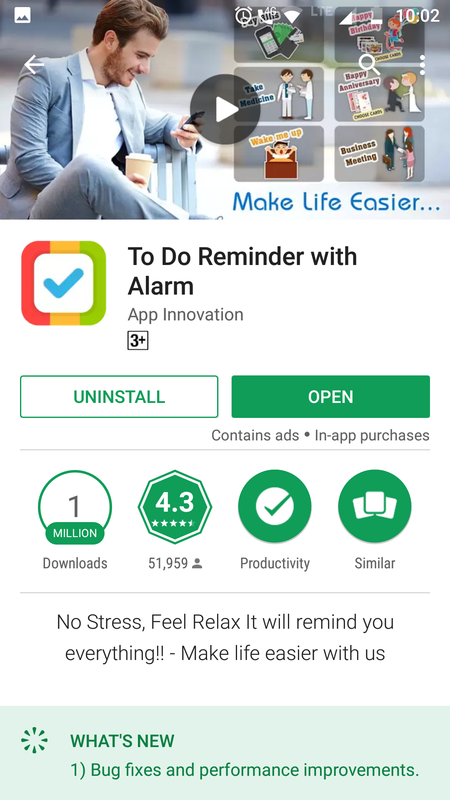 Today I’m going to share with you 3 very simple apps which have brought a great deal of organisation, productivity and vigor in me. And the best news? All of them are free!! Each app solved 3 deep engrained hiccups of mine. Everyone suffers from this, but very few do something about it. Google “How to overcome Procrastination” and you’ll definitely find a Pomodoro Technique there. Pomodoros are 25 min chunks of time. When lazy just start your work without any distractions for just 25 minutes. And TIDE helps you in just that. It has 5 different modes- night, rain, forest, muse and café. 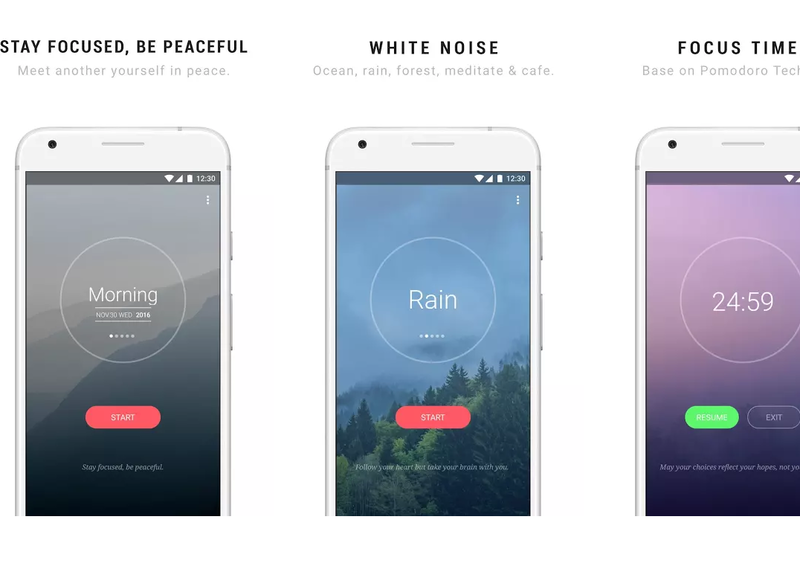 Each mode has a very soothing natural sound and a timer set for 25 minutes, just enough time for you to gain some momentum with your work. The pleasing music helps you get into the zone. Thus, also helping you get rid of the background noise. 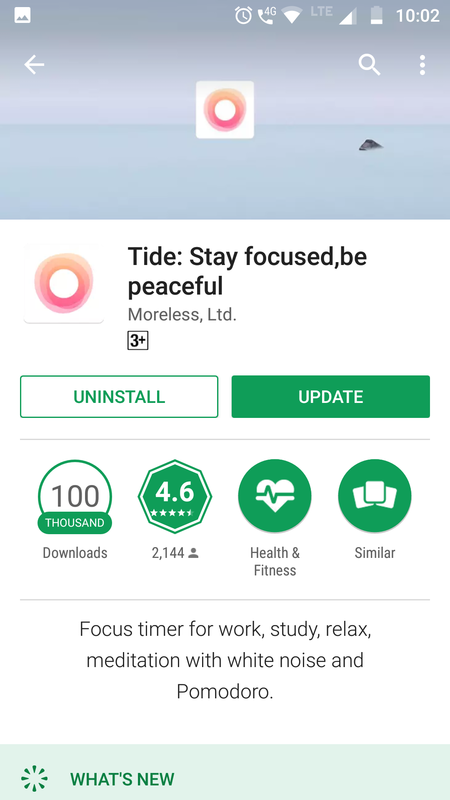 So just put on your headset and turn on Tide and get into your flow! I write all of my blog posts using Tide. We all know that exercise and proper food intake goes a long way in maintaining a healthy body. Sometimes I just eat all the trash I find and lay on bed the whole day. All I needed was a simple reminder throughout the day to remind me “Garbage In. Garbage Out”. To Do Reminder came to my rescue. 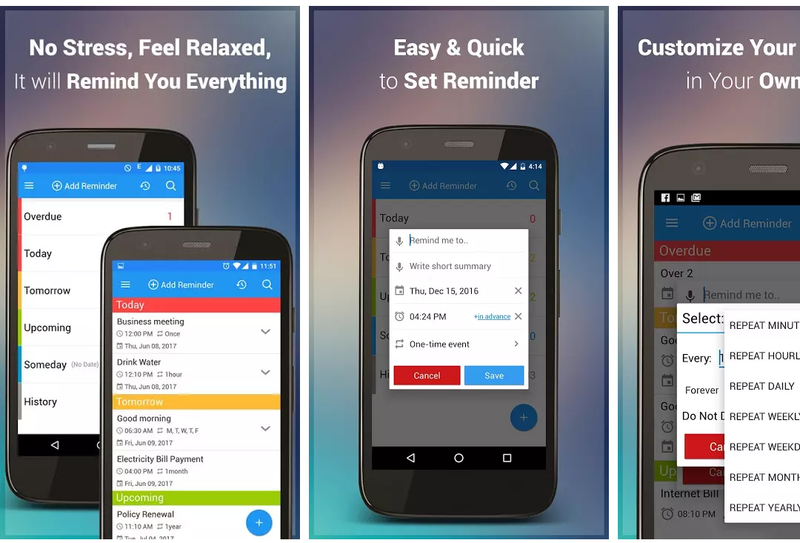 This app lets you puts reminders throughout the day which can be looped. * A third one in the evening which reminds me to complete the 7-min Workout. It’s been great so far! My institution is 40 km away from my home. That’s a total of 4 hours commute every single day. Two things I always go to during this time are- books and podcasts. 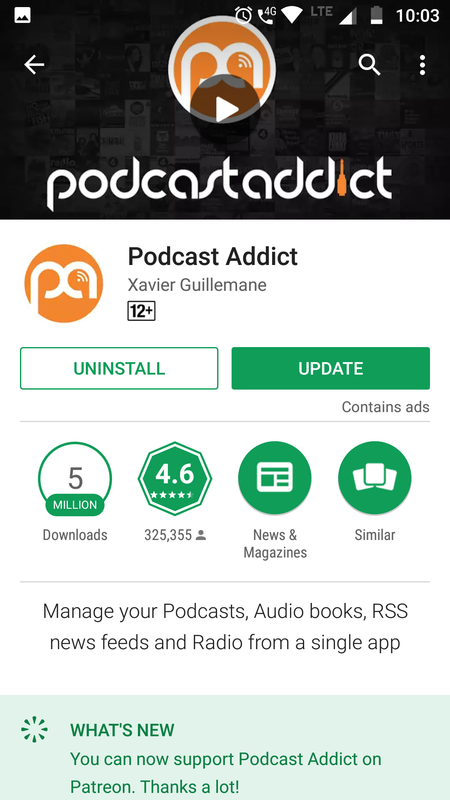 And for podcasts, I love Podcast Addict. Tons of content just waiting to be heard. Wide range of topics from history, politics, comedy, showbiz, entrepreneurship, business, markets, etc. My favourite is the Tim Ferriss show where Tim deconstructs world class performers. He’s almost done 250 episodes with over 150 the* best in the world. Some other recommendations would be Freakonomics, Invisibilia and Intelligence Squared. So please do try out these three apps and I’m very positive that you can improve your life dramatically with these. 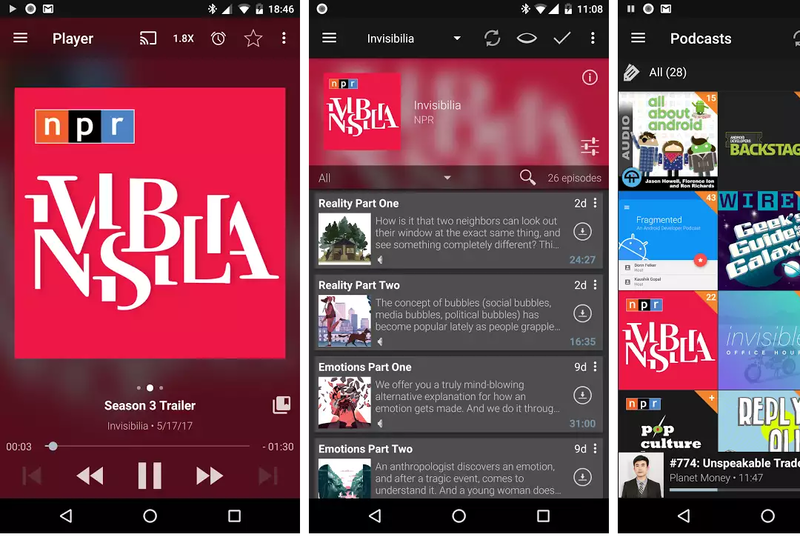 If you have any apps which had a similar impact on you, please leave it in a comment below. Happy with the post? then like and share this post with your friends and family. Thank you!